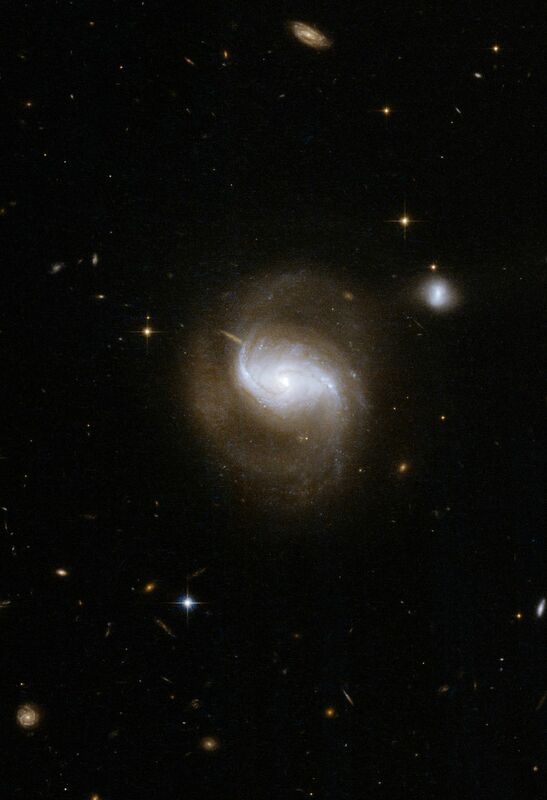 IC 5298 is a beautiful face-on spiral galaxy with two long arms extending from the central bulge and curving back amongst the scattered stars, gas and dust. A nearby smaller companion is linked by a bridge of matter to the principal galaxy in an interaction reminiscent of the famous Whirlpool Galaxy, M51. There is also a third faint, irregular galaxy, visible at the top of the image that is also linked by a bridge of matter and probably involved in the interaction.